We still have so many left over even though we used the majority of our Easter eggs to make these cute caterpillars. The eggs I got for Oscar’s basket were bigger and as luck would have it, there happened to be a white one and a blue one. 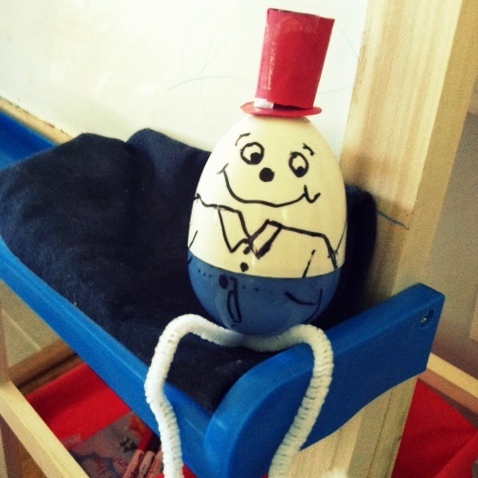 You see, Oscar is completely fixated on the Humpty Dumpty nursery rhyme and performs it using toys, food, himself several times a day. So I thought it would be fun to give him his very own HD that would actually break! Of course he can put his back together again. Take that horses. 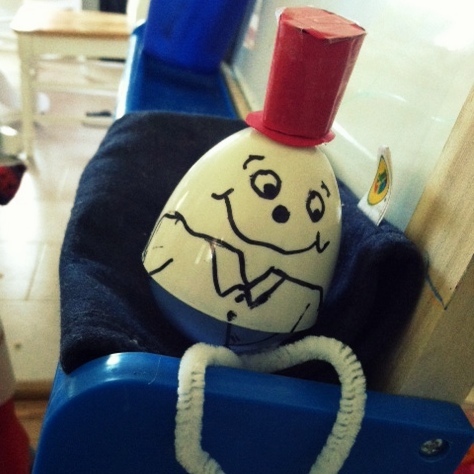 Using the top of the white egg and the bottom of the blue egg, I made Humpty. I put a piece of tape to connect the two halves on one side so when he falls and breaks apart, he still sort of stays together. I threaded a pipe cleaner through the 2 holes in the bottom of one egg half for the legs and I drew on a face and details (like pants) with a black Sharpie. Finally, I created a very primitive hat using red cardstock and tape. Voila! 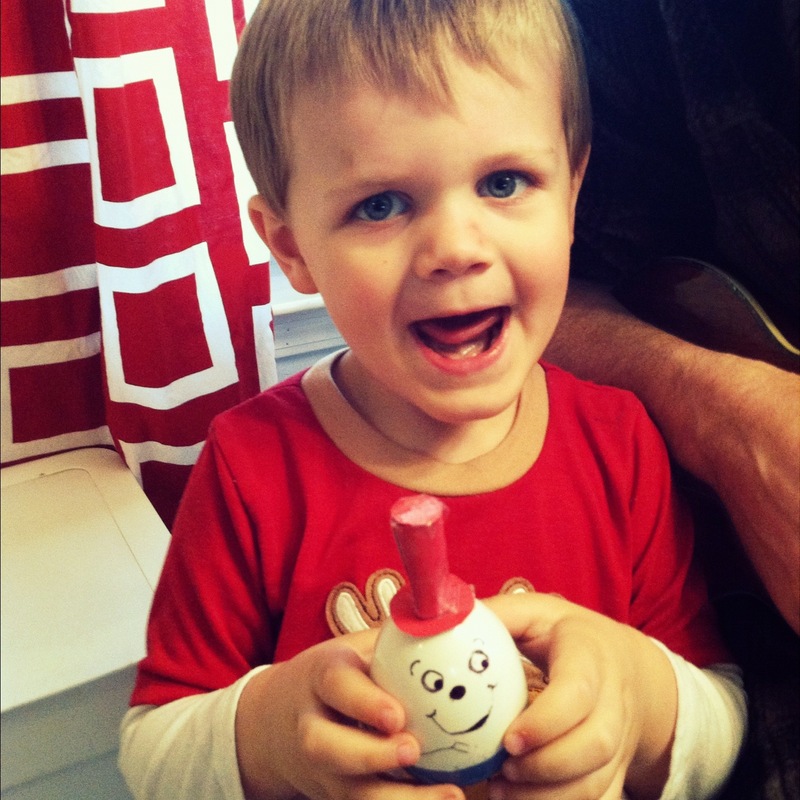 Oscar’s very own Humpty Dumpty. I swear. You would have thought we gave the child a bike. This looks like great fun! 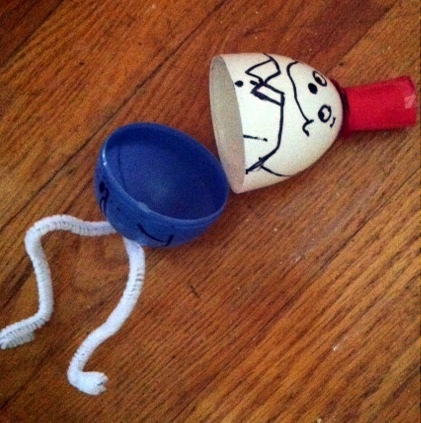 I bet Humpty Dumpty fell over and over again. I am sharing this post on Sulia.